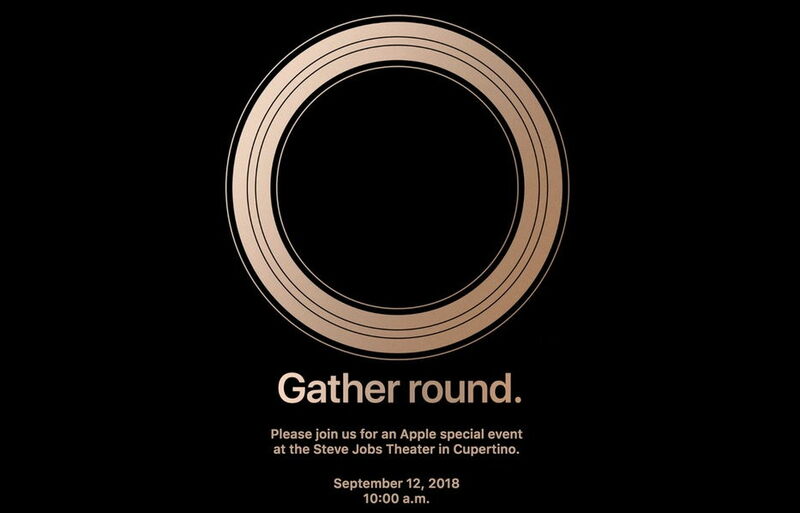 All the speculations which were going around the launch of Apple’s September keynote event has finally come to its end, Apply has now officially sent out media invites for its upcoming Special Key Note event that will take place on September 12 at Steve Jobs Theater, with the keynote beginning at 10:00 a.m. local time. At its September 12 Keynote event Apple is expected to launch new lineup of iPhone including Apple Watch Series 4 models, new AirPods, AirPower new redesigned MacBook Air and Mac mini along with the pricing and availability, and more. According to the rumors, Apple might announce three new iPhone models at the event: a new upgraded iPhone X variant with a 5.8-inch OLED display, a larger variant ‘iPhone X Plus’ with a 6.5-inch OLED panel, and a third 6.1-inch iPhone with an LCD screen, which will be the most affordable model in the new lineup. All three models have been tipped to keep the iPhone X’s notch and edge-to-edge display. Apple could also unveil the new line up of new redesigned MacBook Air and Mac mini this fall however, we can’t be sure as yet. We will have to wait for the official announcement at the event.